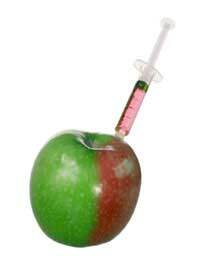 Food additives play an important role in the preservation of our food, one that we usually take for granted. UK food additive regulations implementing EU legislation and recommendations of the UK's Food Advisory Committee are drawn up by the Food Standards Agency's Additives and Novel Foods Division. All additives are subject to ongoing safety review as scientific understanding and methods of testing continue to improve. Emulsifiers, these give food a consistent texture and prevent them from separating. Stabilizers and thickeners give smooth uniform texture. Anti-caking agents help substances such as salt to flow freely. These include alginates, lecithin, mono-& diglycerides, methyl cellulose, carrageenan, glyceride, pectin, guar gum and sodium aluminosilicate. Vitamins and minerals are added to many foods to increase nutritional value, and often to make up for those lost during processing. All products containing added nutrients must be appropriately labelled. These include Vitamins A and D, thiamine, niacin, riboflavin, pyridoxine, folic acid, ascorbic acid, calcium carbonate, zinc oxide and iron. Preservatives are added to prevent food becoming spoiled by mould, air, bacteria, fungi or yeast. Antioxidants are preservatives that prevent fats and oils in baked goods and other foods from becoming rancid or developing an off-flavour. They also prevent cut fresh fruits such as apples from turning brown when exposed to air. These include propionic acid and its salts, ascorbic acid, butylated hydroxy anisole (BHA), butylated hydroxytoluene (BHT), benzoates, sodium nitrite, and citric acid. Leavening agents that release acids when heated can react with baking soda to help cakes, biscuits and other baked goods to rise during baking. Other additives help modify the acidity and alkalinity of foods for proper flavour, taste and colour. These include yeast, sodium bicarbonate, citric acid, numeric acid, phosphoric acid, lactic acid and tartrates. Many spices and natural and synthetic flavours are added to enhance the taste of foods. Colours, likewise, enhance the appearance of certain foods to meet consumer expectations. These include cloves, ginger, fructose, aspartame, saccharin, monosodium glutamate, caramel, annatto, limonene and turmeric. Tartrazine is a synthetic yellow azo dye found in fruit squash, coloured fizzy drinks, instant puddings, cake mixes, custard powder, soups, sauces, ice cream, sweets, chewing gum, marzipan, jam, jelly, marmalade, mustard, yoghurt. It causes the most allergic and or intolerance reactions of all the azo dyes, particularly amongst those with an aspirin intolerance and asthmatics. Other reactions can include migraine, blurred vision, itching, rhinitis and purple skin patches. Aspartame is an intense sweetener, approximately 200 times sweeter than sugar. It has been used throughout the world in soft drinks and other low-cal or sugar free foods since 1974. It was first approved for use in the UK in 1982. It is also known by the name NutraSweet. Aspartame sugar substitutes have been cited for causing symptoms from memory loss to brain tumours.